It’s been raining like crazy here in Texas, but we’re finally seeing lots of sunshine and feeling the heat! The kiddos have been begging to hit the pool – so why not kick off the season with a fun pool party? And what’s a pool party without some healthy summer snacks? 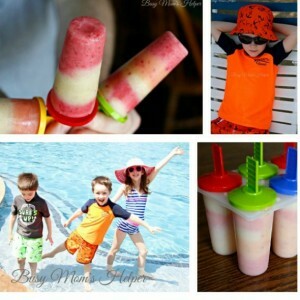 We whipped up a bunch of these Homemade Fruit and Yogurt Popsicles, and the kids (and adults) loved them! Originally published June 2016 – see that post here. Since popsicles take a bit to freeze, we took care of getting them in the molds and popping them in the freezer first! You’ll also need a blender and popsicle molds or ice trays. Take turns blending each type of fruit with some of the yogurt, then place in a container while you do another fruit type! Once you’ve got all of your fruits, take turns scooping or pouring them into the molds. Create fun colored rows by mixing them up! Combine the flavors for something new and fun. Pop them in the freezer and let them get solid! Once we were done with our popsicle prep, we made sure to get all our gear in order! Since my kids seemed to shoot up like beanstalks over the past year, we needed to grab some new swim stuff before we could enjoy our pool time! We got the kids their swimsuits (tops AND bottoms, since I worry about the boys’ backs in the summer sun), hats, sunglasses, and even some cover ups! The boys think they’re great, and I love that it makes them easier to spot when we’re at the pool. You can tell what their favorite colors are by their suit choices – orange and green for the twins, and blue for my girl! Since the twins have hand-me-down suits to pass on to our youngest, we just got him a hat and sunglasses. Once our fruit popsicles were ready, they pulled on their new tanks so we could enjoy the frozen treat! They seriously LOVED the flavors of these, and I loved that it was a healthy snack option for them! Plus they look colorful and summery with all the stripes of fruity colors! I was a little surprised when most of them chose banana as their favorite of the flavors. I thought the strawberry was the best – but all around they were so sweet, tangy and refreshing all at the same time! What fruits would YOU like to try in a healthy homemade popsicle? 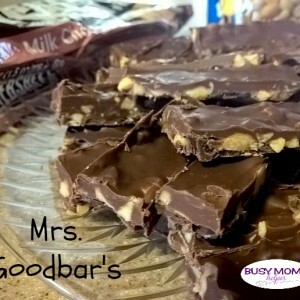 Need an after school snack? Having a movie night? 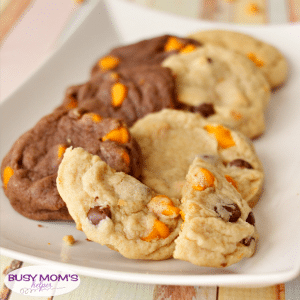 Want to add some pizazz to your snack time? I’ve got your back friend! Try this taco popcorn! This is a family favorite. Everyone loves tacos right? And, everyone loves popcorn. So why not combine the two? Give it a try, you’ll love it! This post may contain affiliate links that support blogs at no extra cost to you. See our Disclosure. 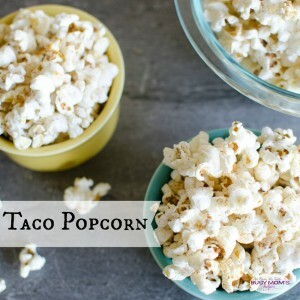 Besides just tasting great, taco popcorn is super easy to make. It takes hardly any ingredients, and it’s just a winner, trust me. If you’re used to microwave popcorn, I’m just going to challenge you today friend, make this on the stove top. It takes about the same amount of time, and it tastes so good! At our house, we are Whirley Pop lovers. But, you don’t need a Whirley Pop to make this. A big heavy bottom pan is just fine. Also, I’m going to share with you a homemade taco seasoning to make this. You probably have these ingredients in your house already. But, just know, if you want to use store bought taco seasoning, go right ahead. Combine spices and stir well. Continue to shake periodically. When there are 2-3 seconds in between pops, take it off the heat. Empty half the popcorn into a bowl and sprinkle with the taco seasoning, empty the rest and sprinkle on more, gently toss. If you’re using a Whirley Pop, you don’t need to shake the pan, and I’m sure you already know this. Just put the first few ingredients in, and start turning. I love to use coconut oil, but canola or vegetable oil is good too. The oil should cover the bottom of the pan and almost cover the kernels. If you are used to using the Whirley Pop, then I’m sure you already know how much oil to use. Mine is at the point where it only takes a teaspoon. You will have more than enough taco seasoning. It really depends on how much seasoning you like. I used about 2-3 teaspoons total. If you like heat, add some cayenne pepper to the spice mixture. I’ve got little ones, so we don’t do too spicy. If you like butter drizzled on your popcorn, then by all means, add it! You can use regular paprika if you don’t have smoked paprika, but the smoked adds a nice smokey flavor. A little thing we discovered for the salt we include with the popcorn– if you have a coffee grinder or spice grinder, run some of it through there. It will make it like a fine powder, and we discovered it distributes really well that way. Totally not necessary, but a great tip if you want to try it! Enjoy your taco popcorn!! Do you have a favorite way to make popcorn? I’d love to hear from you! Combine chili powder, cumin, garlic powder, smoked paprika, oregano, onion powder, 1/8 tsp salt and pepper, stir and set aside. Place oil, 1/2 tsp salt, and popcorn kernels in a Whirley Pop or heavy bottom pan. Over medium heat, periodically shake the pan until all kernels are popped. Pour half of the popcorn in a bowl, sprinkle 1 tsp taco seasoning over top. Pour the other half of the popcorn in the bowl and add another teaspoon of seasoning, gently toss. Do you get sick of making a delicious recipe, only to have a member or two in the family refuse to eat it? Drives me nuts! 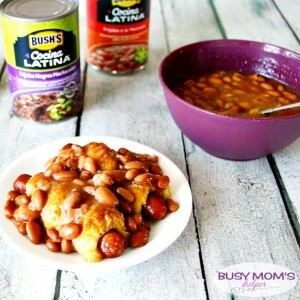 That isn’t a problem with this yummy Hot Dog Twists with Beans – the whole family loves them, especially with Bush’s Cocina Latina Beans. Oh, and we have a special giveaway for you – so read on! Don’t be fooled – just because this meal is SUPER easy to make, doesn’t mean it isn’t fabulously tasty and filling. Just grab the THREE ingredients during your next trip to Walmart, and you’re good to go! I was thrilled that Bush’s Cocina Latina beans came in so many flavors, with some a bit more spicy than others. And for you bacon-lovers: they have a touch of bacon, adding to the great flavor! Your choice Bush’s Cocina Latina Beans – 7 tasty varieties! Preheat oven according to crescent roll package directions. Spray or line a baking sheet, set aside. Wrap one crescent roll (not cooked, still just dough) around each hot dog, twisting it upwards. Place on the prepared baking sheet, then bake according to the crescent roll package directions. Meanwhile, heat your choice of Bush’s Cocina Latina Beans as directed on the can. Note: we used the Frijoles a la Mexicana flavor in the photos. When the hot dog twists are done, dish them onto serving plates and top with a generous scoop of the beans. Enjoy! Seriously, I LOVE how easy this was to make, and how happy everyone was with it! That’s a big WOOT WOOT for dinner, another mommy win! We can’t wait to try the other Bush’s varieties, too. There’s even some Cocina Latina inspired refried beans options – those will be AMAZING in some upcoming recipes! 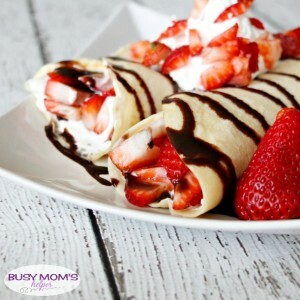 I’m on a roll with easy breakfast recipes lately – and my family is loving it! These Chocolate Banana Muffins are moist and full of delicious flavor. PLUS – they’re super quick to make, especially if you just bake them the night before and serve them in the morning! If you’re like me, you ALWAYS have bananas around – I mean, they are one of the least expensive fruits you can get, right? From snacks, to a side of fruit, and now in yummy banana recipes, they’re perfect. My kids had been asking for chocolate muffins for breakfast, so as I was trying to decide which recipe to put together, I looked over at our basket of bananas and saw several of them getting to that perfect banana-bread level of ripe. 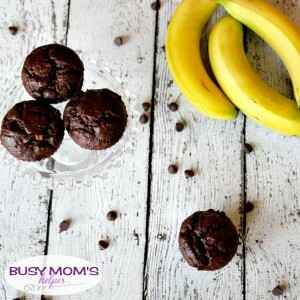 Score – chocolate banana muffins were born! Preheat your oven to 350 Degrees F. Bake or line 18 muffin cups (I only have 12-cup pans, so had to do a pan and a half). Set aside. 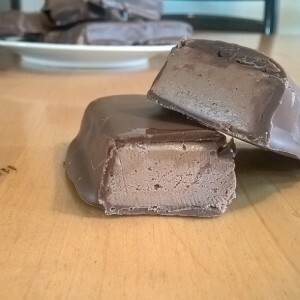 Combine all of the ingredients (except chocolate chips) in a mixer and mix well. Stir in the chocolate chips. Scoop into the prepared muffin cups and fill about 3/4 of the way full. The rise a tiny bit, but not TONS. Bake for 20-25 minutes, or until a toothpick inserted comes out clean. Allow to cool, then either serve or store in an airtight container! 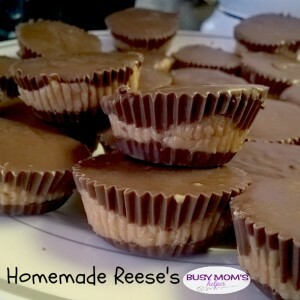 These turned out amazing, and now I want to try a few variations of it! What would they be like with pumpkin or vanilla chips? Perhaps tossing in some almonds or walnuts would really bring it to a new level. 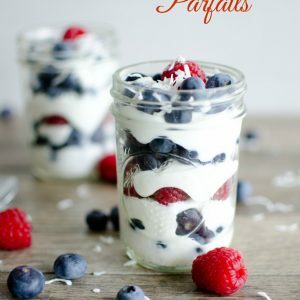 Anywho – these are a great breakfast to start the day off, as well as a great after school snack idea! Enjoy! I just had a crazy (but amazingly fun) trip to NYC this past week with my sister and my 3 boys – needless to say, now I have a LOT of catching up to do with emails, blogging, household stuff (laundry = the worst part of coming home from vacation) and the likes. 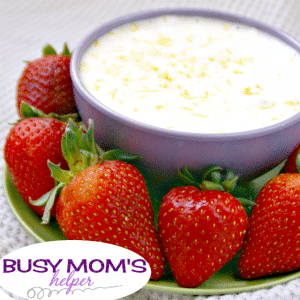 I don’t have a lot of time to spend doing yummy snacks or anything for the kids this weekend, so I think I’ll just whip up this recipe I shared a few years ago for Creamy Lemon Fruit Dip. I don’t know about you, but I can’t say no to tasty strawberries! These are my favorite fruit to pair with this cheesecake dip – such great flavor. You can switch it up, too, and instead use a different flavor of yogurt for a whole new experience. From 2013: My family loves fruit. Seriously, I have to withhold the fruit with a meal until the kids have eaten the ‘main’ food, otherwise it’ll just be fruit for them. The other night, though, I found my twins dipping their strawberries in the ketchup still on their plates. Okay, fine, I guess. However, it encouraged me to find a dip they could use instead (perhaps more for me than for them, I just cringed at the thought of strawberries and ketchup)! In a medium bowl, blend all the ingredients until smooth and creamy. 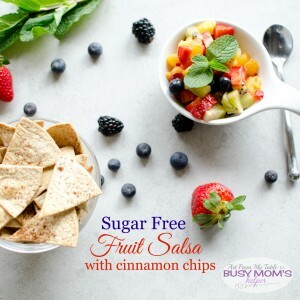 There’s no step #2 – you’re done and ready to enjoy this delicious fruit dip! Note: Makes about 2 1/2 cups.